Compact and stylish LED light that emits continuous illumination ideal for tabletop photography and movie recording at a close distance. 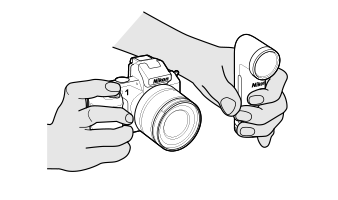 Compatible with any Nikon 1 or COOLPIX camera that has a tripod socket. Continuous light from the LD-1000 allows you to check lighting effects in real time and find the best composition. Moreover, continuous light from the LD-1000 can be used for additional lighting for recording movies at a close distance. 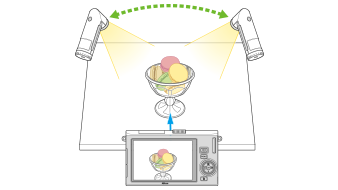 The LD-1000 can be operated separately from the camera, making off-camera lighting possible. This allows you to illuminate from any angle, height or distance you like, regardless of the position of the camera. This flexibility helps you expand the range of your creative expressions. The LED window is equipped with a diffusion panel and is optimized for still photography and movie recording at a close distance. 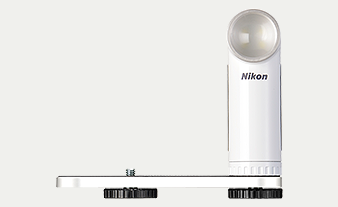 Despite using multiple LEDs, the LD-1000 provides soft, smooth lighting with natural-looking shadow. The diffusion panel prevents the reflection of luminescent spots, which usually appears when an LED light source is directed onto a shiny object, such as a glass. More advanced photography is easy with the LD-1000. Photography using multiple lights usually requires a certain amount of expertise to control lighting effects, but with the LD-1000, even a beginner can achieve excellent results. Simply use multiple LD-1000s to achieve your intended results by checking lighting effects in real time and adjusting lighting as need be. The included bracket allows horizontal angle adjustment even when the LD-1000 is attached to a camera. 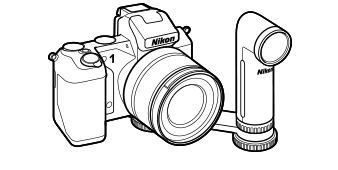 The bracket is attached to the tripod socket and so can be used with any Nikon 1 or COOLPIX camera which doesn't have accessory shoe. The single button on the back of the LD-1000 turns the light on and off and is also used to adjust high and low light strength. 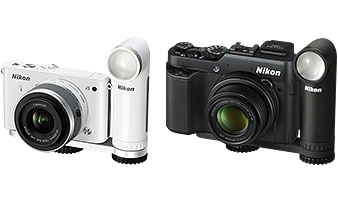 Minimally designed to accommodate the compact Nikon 1 and COOLPIX cameras, the LD-1000 is easy to carry around. Available in black and white. The LD-1000 uses four AAA-size alkaline, lithium or Ni-MH batteries, all of which are readily available.